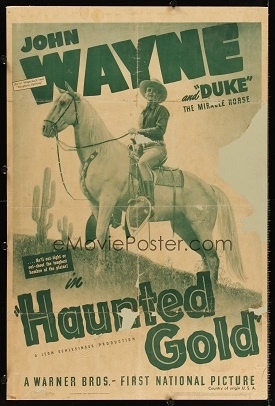 John Wayne Warner Bros. Re-release Posters. 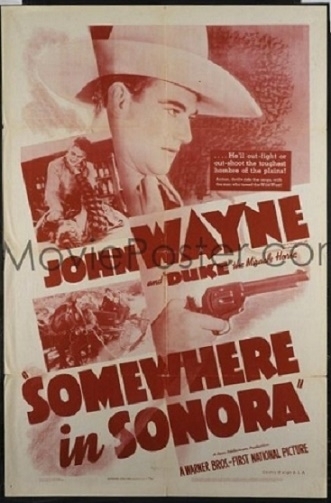 The six early 1930's Warner Brothers John Wayne B westerns that he made there were re-released in what we believe is likely to be in 1939 in the U.S.A. ( emovieposter information ). All the posters were not dated and I don't have a date of the combo poster image either. 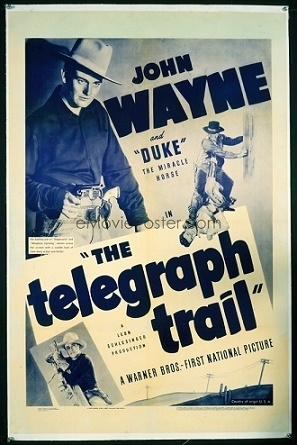 The one missing one sheet of the six titles is The Big Stampede. 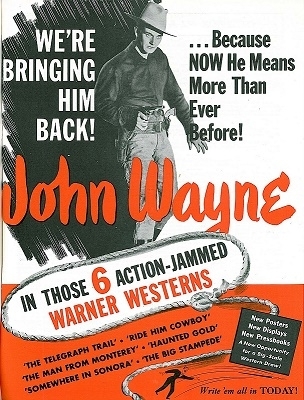 Above are the other five titles, but to complete the re-issue images does anyone have an image of The Big Stampede one sheet we can get to see? 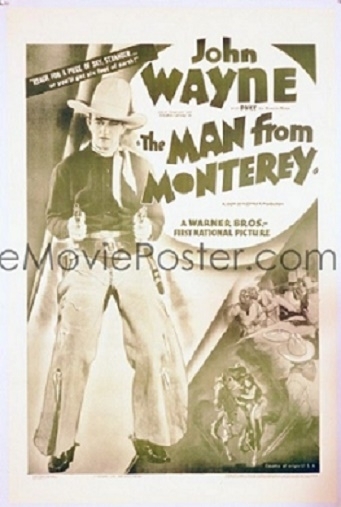 The Man From Monterey image of John Wayne is not his toughest look. Lawrence, it is 100% that these re-releases took place in 1939. 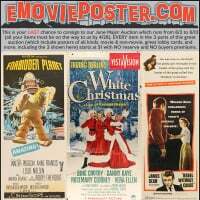 I know that because the posters have litho numbers that are as good as dates, because we keep track of every litho number from every single poster we sell, and by comparing the ones from these to others, we can determine the exact year. Thanks Bruce for confirming the 1939 release. I only mentioned likely to be 1939 as I had read that statement on at least one of the posters from your website. 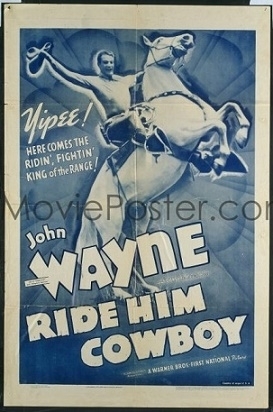 What do you think the odds are to ever seeing a The Big Stampede re-release one sheet? I would think the odds are to ever seeing a The Big Stampede re-release one sheet are pretty good. The question whether it is months or years off. I have been slowly seeing LOTS of items I thought I would never see! Thanks for your comments and let's hope if we do get to see one it is sooner than later.